The Children's Program at San Marino Dance Academy follows a developmentally and cognitively sound curriculum beginning at the age of 3 and building to age 8. Children develop at individual rates, thus abilities and talents in early childhood are extremely varied. Our curriculum consists of a sequential program that is appropriate to children’s ages and developmental needs. Classes build student’s confidence, understanding and appreciation for their bodies, as well as love for movement and dance. Our program promotes participation, sharing, leadership, appreciation of others, awareness of personal space, and respect towards classmates and instructors. Jazz covers a wide range of dance styles from that is seen in musicals to modern contemporary interpretations. In our jazz class dancers learn age appropriate routines with a technical focus. Jazz builds presence, awareness and confidence. Inspired by dance moves seen in today's music videos, hip-hop is an exciting class suited to boys and firs of all skill levels. These classes encourage dancer performance skills and enjoyment of music and movement while increasing fitness and strength. Classes involve warm ups, combinations and age appropriate routines. Tap is lively and popular dance style, perfect for those who like to move and make music at the same time. Classes include combinations, routines and fun rhythm exercises designed to develop both technique and musicality. 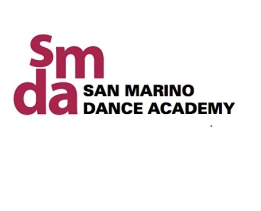 SMDA's acro program specifically designed and developed for dancers. From back bends, to hand stands, aerials to flips, acrobatics will teach you all sorts of tricks. All in all a challenging experience that will be heaps of fun and give you an edge in dance.